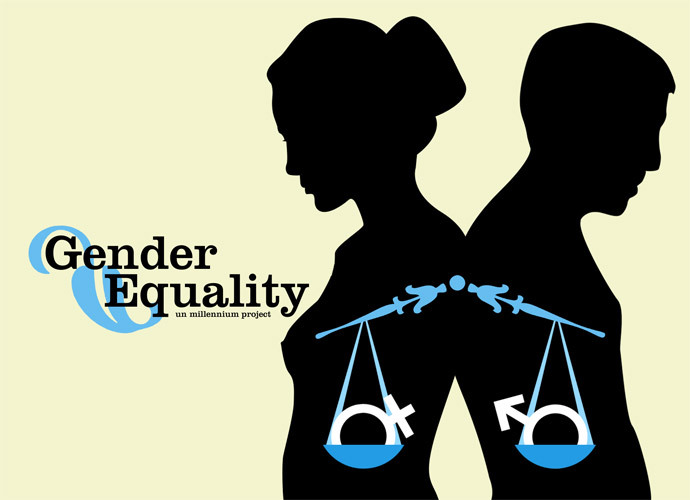 “Gender equality is just twisting and re-interpreting thousands of years of God-defined gender roles because you don’t agree with them.” I was recently told this by a good, God-fearing individual when my husband and I shared the Wesleyan tradition of gender equality. How do you deal with people who refuse to acknowledge that male-headship is not the only Biblical interpretation of gender roles? As an undergraduate I was very confrontational about my belief in gender equality. As editor of the university newspaper I got hate mail from other students on campus who didn’t appreciate my belief in equality or my views that women at an evangelical college should be there for more important things than an MRS. Degree. Looking back I now realize that telling my fellow students they could find a husband “cheaper at a truck stop” was probably not the brightest way to get them to consider an alternative Biblical perspective. Now, as a doctoral student, I still research and still passionately believe that gender equality is Biblical. I just avoid the in-you-face approach I had as an undergraduate. Although, I think some people I’ve come in contact with would still call me a bit too “sassy” on this issue. However, how do you translate the communication theory and theology you understand and research into every day terms? I don’t research these issues for my own enjoyment or to entertain a small group of intellectuals with tales of Christian life. I do this because I believe God has called me to be a cultural critic. I am coming to realize that change comes very, very slowly. I am also coming to realize that I have to take a much more middle of the road approach then I did as an undergraduate. When you get people mad at you they stop listening. Part of this middle of the road approach is admitting that terms such as “male headship” or the “man is the spiritual leader of the family” are phrases that I cannot fight against until people accept some more basic concepts of equality. The rhetoric of male-headship is too entrenched. Even in Wesleyan denomination, such as my own, that should be open to this understanding these terms are hard to counter. Good grief, our denomination supports equality. So, why don’t the church members? I believe it comes back to the power of rhetoric. We are surrounded by Christian pop culture books, music, marriage advice books, organizations, etc. that all say the man must be the head of the home. Equality is not even viewed as a Biblical option. The rhetoric of equality is too silent, too much in the background. To bring it up is almost equal to committing heresy. Yet, I stand by the fact that most healthy marriage do not practice male-headship. Evangelicals might rhetorically affirm it. They will say they practice it, but if you actually look at how they perform their marriage roles it is one of partnership. Gallagher and Smith (1999) conducted a series of extensive interviews over a two-year period with a variety of evangelicals from both moderate and conservative Christian traditions on interpretations of Biblical gender roles. Their results indicate that a majority of evangelical and fundamentalists still believe traditional rhetoric about male headship. However, the more moderate Christians were more willing to interpret the concept in modern terms such as the husband as “CEO” or “family warrior,” allowing the woman to also work to provide for the family, but still deferring to her husband for final say. Furthermore, as Pevey, Williams and Ellison’s (1996) research points out, there are discrepancies between what is believed and what is actually put in practice. From a sociological perspective, McNamara (1985) also found this to be true when talking to Baptist couples that supported male headship in the home. In reality, many of these families practiced egalitarian marriage partnerships but the rhetoric was entirely complementarian. Thus, to a certain extent, there has been a break down between what is perceived and preached as marital and gender roles and what is actually practiced. Okay, so excluding Christian patriarchy followers who are a hopeless case, in regards to actually practicing gender equality in marriage there appears to be an optimistic future. Yet, the issue comes back, once again, to rhetoric. People feel they have to say they believe the man is in charge or they risk being branded a liberal, feminist (like I have been accused of being). I’m still not sure how to break down this rhetoric and get people to see if they do not practice this model why do they still endorse it? If we want to change the rhetoric change must begin with the Christian publishing industry and denominational leadership. Until the message of Biblical gender equality is more widely dispersed we will never be able to combat the prevalence of male-headship. A dire prediction, but I believe it’s a true one. So, rally the troops we have an uphill battle on our hands. Gallagher, S. & Smith, C. (1999). Symbolic traditionalism and pragmatic egalitarianism: Contemporary evangelicals, family and gender. Gender and Society, 13 (2), 211-233.
reflections for sociologists. Sociological Analysis, 46(2), 93-99. Nowhere in the bible does it state that the husband is the “head of the home.” Nowhere. The bible uses the powerful metaphor of unity that is the husband is the head (literal, physical head: kephale) of the wife. Literal head. Conversely, the wife is the body of the husband. It’s is a literal word picture–a picture of a physical body. A physical body (head+body) must act in unity. It is *impossible* for it to act otherwise. That is why Ephesians says that when a man loves his own wife, he loves his own *flesh*–his body. It’s not an implication that the man is in charge and gets to boss around the wife while she is supposed to act like his servant and obey. They are to work together in harmony with one another. Also, the wife is told to submit to her husband. And the husband is told to SACRIFICE for his wife. He is to put her ahead of himself, to “consider [her] better than himself” (Phil 2:3), and to defer to her. After all, she is his body! It’s metaphor. And the author goes on to say that this is a GREAT MYSTERY and refers to Christ and the church. The bible doesn’t say, “Husbands, lead your wives.” It doesn’t say, “Husbands, be the spiritual head/priest of your family.” The bible doesn’t say, “Husbands, exert your authority or superior physical strength to keep your wives in line.” IT SAYS, “HUSBANDS LOVE YOUR WIVES.” Let’s not forget that. All the theology of this has been unpacked so much better than I can do justice here by Dr. Sarah Sumner. Her book, co-authored with her husband, “Just How Married Do You Want To Be?” has been transformational for me. I know some call her a “soft” egalitarian, but she exegetes tough passages in a way that makes sense to me without compromising my standards of equality. I’ll stand side by side with you in the battle, and so will my husband. He finds the “complementarian” rhetoric demeaning and distasteful. I confess, I am less able to temper my words with regard to this issue, and don’t strive to be moderate. And I don’t mind being called a feminist (because I am). I would challenge anyone who called me “liberal” to both define and defend that characterization of me. Great points. I totally agree with you. I’ve also found Anne and Tim Evans book “Real Life Marriage: It’s Not about Me” to be a great book that puts a lot of egalitarian theology in simple terms that people can understand. However, my frustration with trying to convey these theological explanations, even in simple terms like Tim and Anne do, is that people are still not receptive. I’m still trying to figure out, in a very practical down-to-earth manner to present the concept of Biblical quality in a manner that will be received positively. Christians for Biblical Equality sells the Evans book if you’re interested. Also, nearly all “complementarian” couples I know actually treat each other as equals in their day-to-day lives as well in their decision-making. (There are a few sad exceptions.) Love, respect, honor, compromise. These are values that should be common to every Christian marriage.